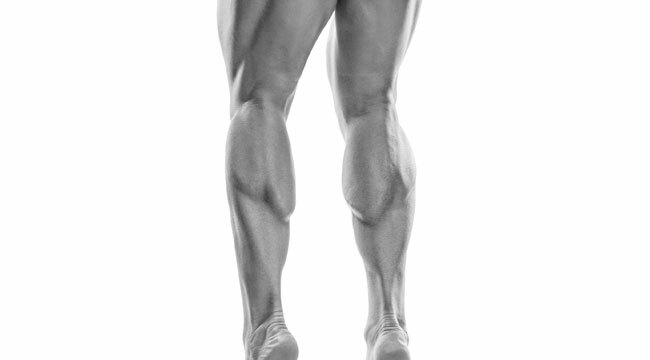 Find your footing to make the most out of Tom Platz's famous leg routine. Tom Platz retired from professional bodybuilding competition in 1987, and undoubtedly, he had some of the most amazing quadriceps in bodybuilding history. His success didn't just come down to his high volume, high intensity leg training -- his foot positioning was key. By altering his foot positioning Platz was able to hit the outer and inner quads to give him the amazing quad development that was sought by many. Knowing when to switch up your stance will help you develop quads just like the legend himself. Your feet should be level with your shoulders. To get an overall workout for your quads, set your feet in this general stance -- having your toes pointing slightly outward. This go-to move allows you to develop both your inner and outer quads at the same time, however this shouldn't always be your stance. If you find that you need to focus more on your outer quads, thent take a break from the norm. To help with outer thigh development, use a narrow stance where your toes are pointing stright ahead. For this stance, have your feet close together, about an inch or so apart. Compared to other stances, your quadriceps will be activated more, but some will disagree -- claiming that the weight used is the true determining factor. Try this stance throughout your routine and see if you notice a difference. Other exercises that will help develop this muscle are the front squat, hack squat, and abductor machine. The inner and front thighs can be easily targeted when you have your feet set wide apart, with toes pointed at a wide angle. This stance is similar to the sumo stance. If your in a squat rack, your feet should be nearly touching each side of the rack. Having a wide stance will help you target numerous leg muscles. This will work your glutes, and you shouldn't feel any back or knee pain. A recent study from the University of Padova concluded that a wide stance produced some of the same muscular activation as a narrow stance. Subjects saw results in the quads, adductor major, vastus medialis and lateralis -- basically everywhere except the glutes. That said, there's definitely a benefit in changing up your stances to see which muscles are feeling it the most. Feeling brave? If so, why not give Tom Platz's workout a try? Platz took his time to finish these off, but the modern man can get it done in about an hour. Use at least one of these moves during each workout and you'll be leg-endary in no time! *Try with both wide and shoulder-width stances. *Try with feet close together.